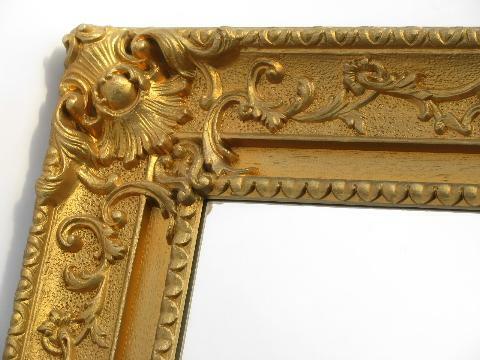 Glass mirror with ornate frame, made of plastic with a gold finish, french rococo style. This isn't marked that we could find, maybe Homco? This measures 26" x 22" overall, and has hangers at the back to hang horizontally or vertically. 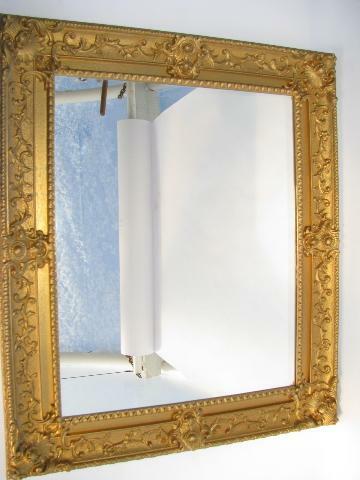 Both the frame and the mirror glass in in very nice shape.